Adios Mother Fucker #2 drink recipe made with Blue Curacao,Gin,Rum,Sweet and Sour mix,Vodka,. 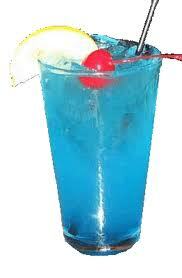 How to make a Adios Mother Fucker #2 with all the instructions and ingredients. Pour all the ingredients except the Club Soda into chilled glass filled with ice cubes. Top with soda. Stir gently. Apple Coconut Sour View This Recipe! Blue Goodness View This Recipe!